Address: Avenida General Humberto Delgado 23-R/c, Castelo Branco (Región Centro), Portugal. Featuring a 24-hour front desk and free parking, Ideal offers simple rooms in central Castelo Branco. The Episcopal Palace Gardens, castle walls and Castelo Branco Train Station are less than 15 minutes’ walk away. 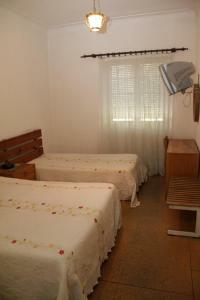 Each room provides wooden furniture, a cable TV and private bathroom with bath or shower. Within a 10-minute walk there are several bars and restaurants, some serving typical Portuguese food. The shops at Fórum Castelo Branco are a 7-minute drive from Ideal Castel Branco, while the Tejo International Natural Park is around 45 minutes by car. The A23 motorway is 4 km away.